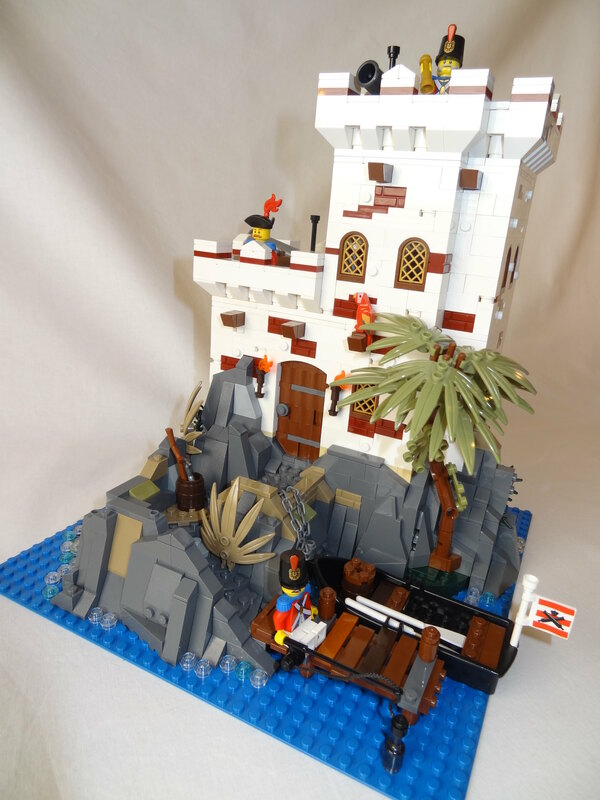 I was a big fan of the first pirate sets as a child, so I had to throw myself in a pirate-inspired MOC. Two soldiers are standing guard, the third tries to catch something eatable, while the general is guarding the treasure. They have caught a pirate who has been sitting in jail for quite some time now. It is important that the soldiers make sure that the pirates don’t free their mate... hmm maybe it's too late. 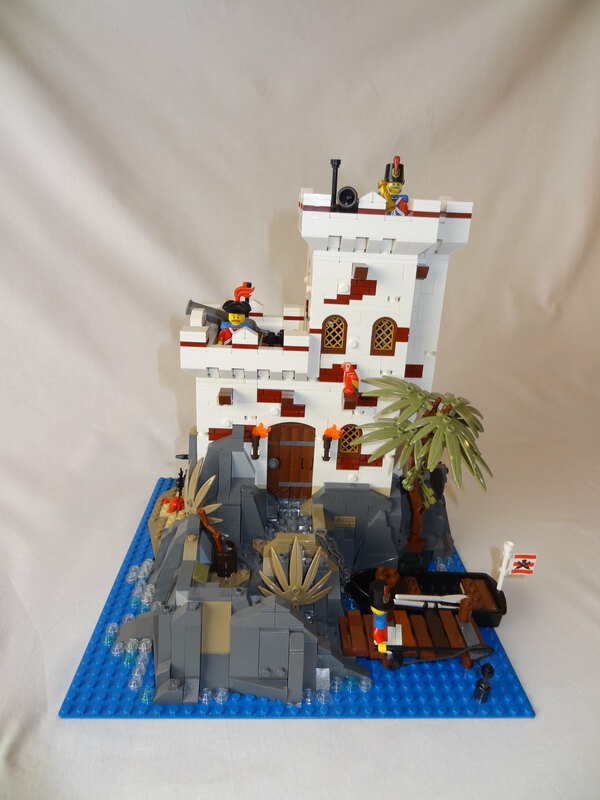 Of cause the general is holding on to the biggest treasure chest any man have ever seen, so if the pirate is escaping there is always a reason to come back and conquer the island. Love it !!! Well done. Excellent outpost. I like the style - similar, but a lot better, than official sets. 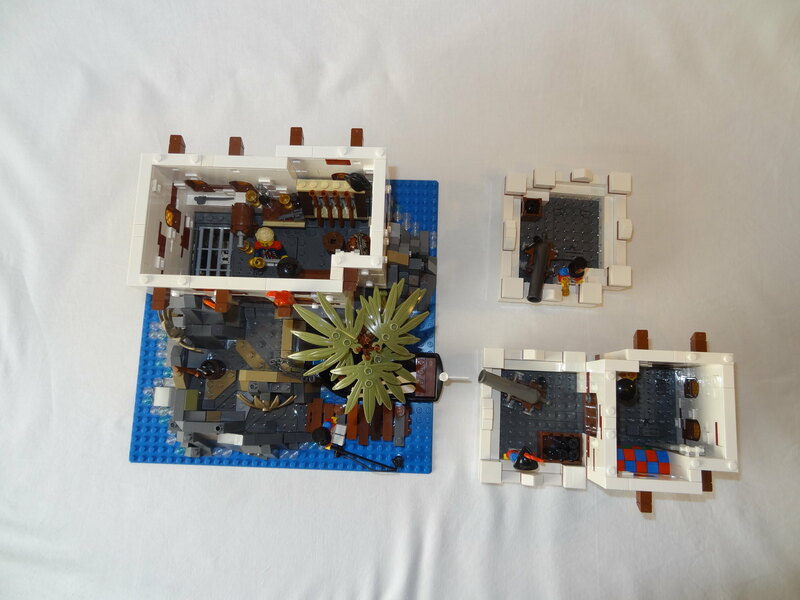 And the playable modular design is great. You have plenty of cannons and plenty of internal details. 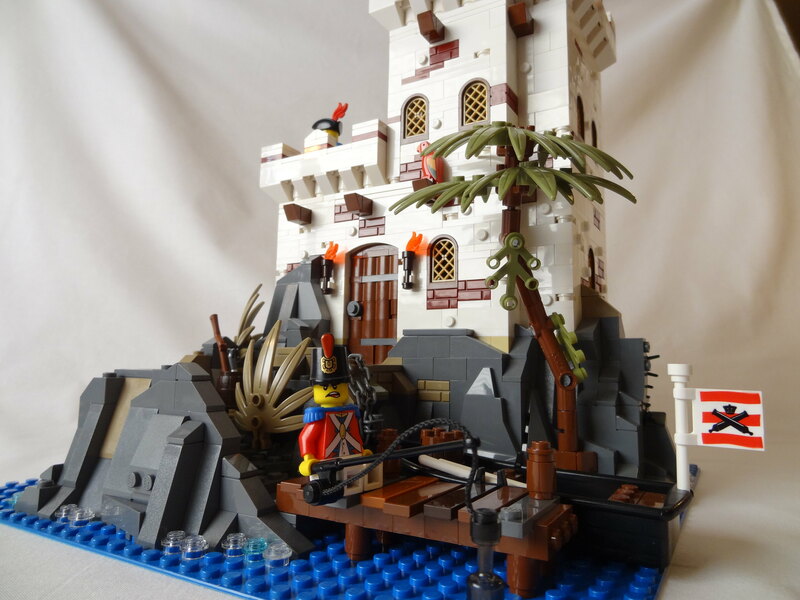 Looks like a fun build, and the fisherman's face is great. I like how many details you managed to have in this quite small build. Really good! Very very nice and detailed outpost! I can just follow the others. It's a very nice building! I love the detailed walls and will try them out by myself. Nice imperial outpost ! and without bluecoats ! Good ! It's refreshing to see good little build like this one and of this such good quality ! Good job ! Keep it up ! That is a good looking outpost. I like the reddish brown addition to the walls.